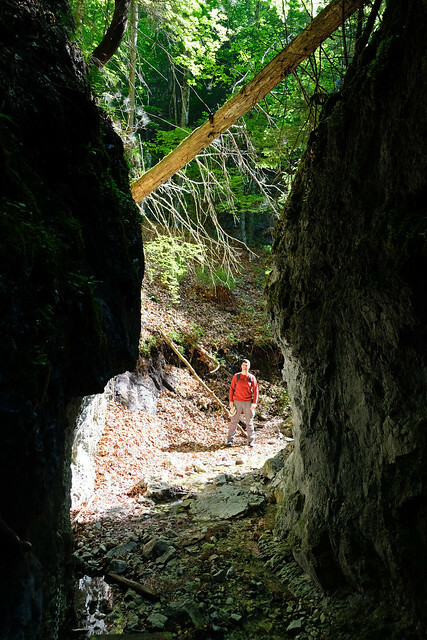 We’ve reached a milestone this spring: we’ve explored ALL the canyons of Slovak Paradise National Park. All the combined routes through all the gorges in the park. Naturally, there’s very few national parks that we know better. But it doesn’t mean we won’t return, it means we can finally finish our complete guide about the park. To be fair, it’s not a very large park, so hiking all over it is not such a big achievement. But a very beautiful and enjoyable one! 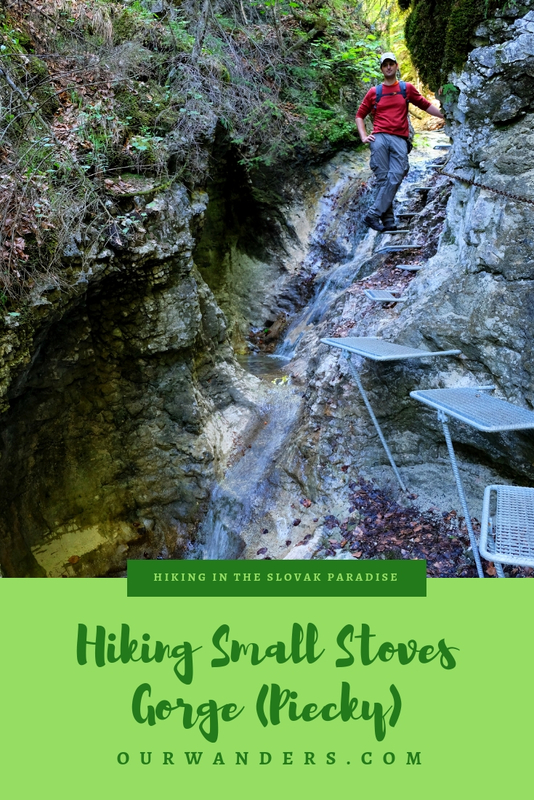 In this last piece of the series featuring our beloved little canyons, we show you the one that we explored at the very last: Small Stoves Gorge – or roklina Piecky in Slovak. The path to Small Stoves Gorge starts from the parking lot in Pila. The road from Hrabušice (basically, the park entrance) to Pila is a narrow forest road, but its quality is fine, and the drive is short anyway. Parking fee along with entrance fee to Slovak Paradise was collected at the entrance booth when we visited last time (2018). 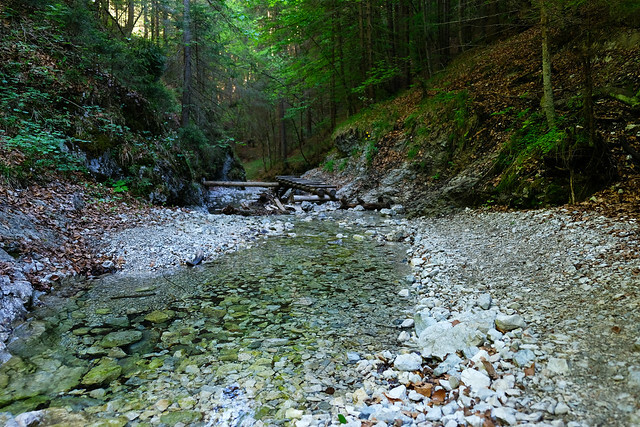 The trail runs along a lovely stream – that didn’t have too much water in late spring – under the trees. After a short stroll, there’s the canyon entrance: a tall, sheer rock wall decorated with a waterfall. 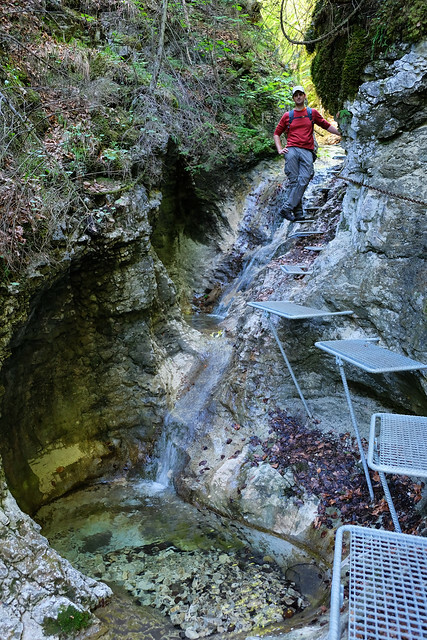 A tall ladder helped us climbing to the top of the wall, then we continued our way in the narrow canyon. 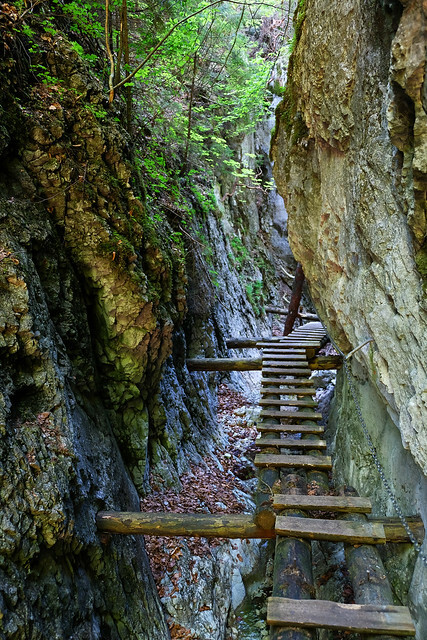 Just like in any other canyon in this park, Small Stoves Gorge is also equipped with ladders, iron stairs and chains to help us exploring it safely. 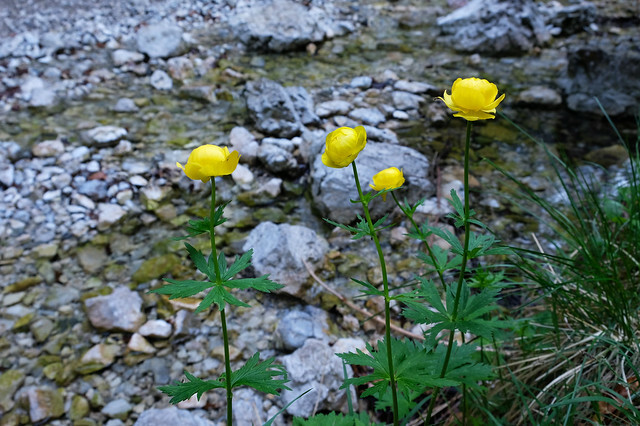 After climbing above the canyon, we had a nice picnic on a meadow full of flowers – mostly yellow Globeflowers. It’s one of those few flower species that we know by name, but only because the name is Trollblume in German. Trolls’ flowers, I guess? Okay, it’s time to get serious. 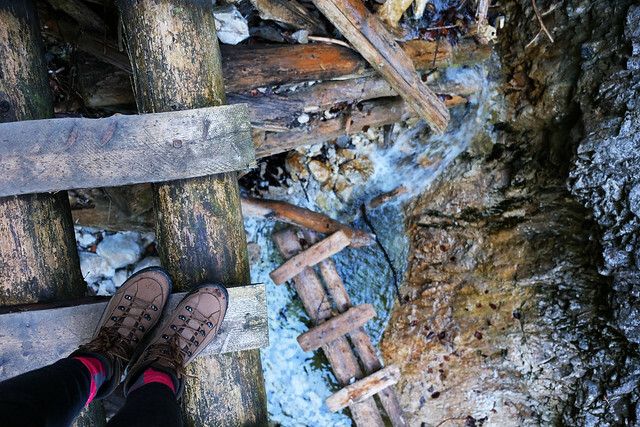 The challenging part of this hike is over once you conquered the canyon. Just as in most cases, this canyon is only one-way: up! There’s a lovely trail (surprisingly steep at some sections) in the forest that took us back to Pila. 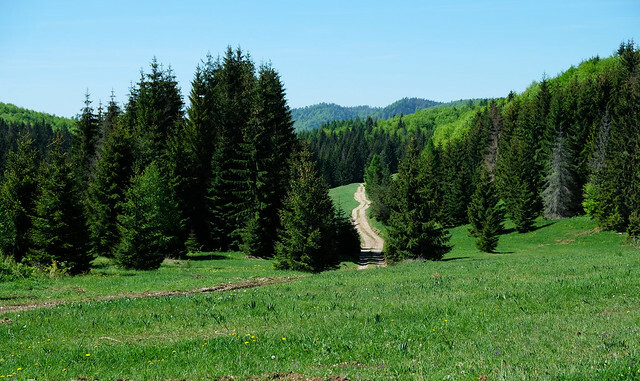 Hrabušice is a lovely village that’s close to most trailheads of the Paradise. Our favorite guest house to stay when visiting the park is there. Pila is 8 minutes drive. Your next choice is quite obvious: Pila itself. It’s even smaller than Hrabušice, but there are a couple of guest houses.